Bluetooth… its a wonderful piece of technology. If you’re old enough to remember, once if you wanted your mobile phone in your car you were required to have a “phone specific” and sometimes “car specific” car kit. Bluetooth wasn’t a thing yet and these car kits were required to be connected to your phone via a dock. Thanks to modern technology, this is a thing of the past and not required. From the early 2000s, vehicles started coming with Bluetooth car kits fitted for handsfree wireless connectivity. This meant no more dodgy cables connecting your phone however early Bluetooth kits were subject to connection issues at times wirelessly. There is a bit of confusion at times with Bluetooth in regards to what you can do with it. The first Bluetooth kits in vehicles were primarily just hands-free or “Bluetooth HF”. These allowed you to make and receive phone calls, but wireless Bluetooth music playback was not possible. There were rare cases were later on due to cost-cutting, some vehicles only came with Bluetooth music playback (Bluetooth A2DP) but no hands-free. Now its great you can make and receive calls, but what if you want to listen to the latest K-pop songs or your favorite Whitney Houston track? iSimple has a fantastic product known as the iSimple Tranzit BLU to solve your issues. This product allows Bluetooth Audio ONLY playback in your vehicle using your vehicles existing FM antenna connection using FM modulation technology (not that FM Transmitter technology you saw at your local $2 shop). This blocks all existing radio frequencies and offers a clean audio playback into your factory radio. Got an AUX or RCA Audio input from the factory? GREAT! the iSimple Tranzit BLU also has stereo RCA output to connect to your vehicles AUX. My Car Has Bluetooth Audio But I Want To Make Calls! Pause your Spotify playlist and check out the iSimple Tranzit BLU HF. 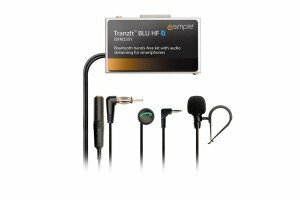 iSimple’s Tranzit BLU HF offers Bluetooth Handsfree and Audio Playback plus Voice Recognition (we will get to that later). With its high-quality Bluetooth handsfree chip and included microphone, you can make and receive calls via your factory radio’s FM radio using FM Modulation technology. Does your car have AUX from factory? You can use this with the Tranzit BLU HF’s included AUX lead for crystal clear audio. Voice recognition is also a great included feature thanks to the Tranzit BLU HF’s small 5c sized multi-function button. Apple owners would be familiar with Siri and (if your superior and lucky enough) to have an Android phone, you would know all about OK Google. Holding the button for a few seconds will launch your electronic assistant for fantastic hands-free control of your messages, calls, favorite music, and more. But My Car Has One Bluetooth Feature Already! Can I connect to multiple? Yes, most modern mobile phones allow connection to multiple devices at one time. Bluetooth Audio uses a communication protocol called A2Dp where Bluetooth Handsfree uses a protocol called HF. Your phone in most cases can connect to one HF device and one A2DP device at the same time. This means your Samsung Galaxy can connect to your new iSimple TranzitBLU receiver as well as your OEM Bluetooth handsfree. You will find most phones will allow this however you can always check with your phone’s manufacturer if its possible. I have a Toyota or Lexus Vehicle! Well, we can understand why you would be yelling this from the rooftops, so we have your Bluetooth solution. Enter the iSimple CarConnect (PACISTY751). 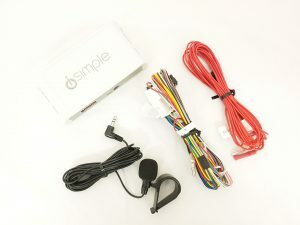 This OEM quality kit connects to your vehicles CD Changer port and offers superior handsfree calls plus crystal clear Bluetooth Audio and Voice Recognition. The kit operates via your steering wheel audio controls and OEM radio controls. On select vehicles, it will also even display text of your audio track and phone call number. To find out if your vehicle is compatible, check out What Fits My Ride today! So Which Solution Do I Need? To put it simply, if you only handsfree calling, check out the iSimple Tranzit BLU to add Bluetooth music playback. Got a Toyota Or Lexus? 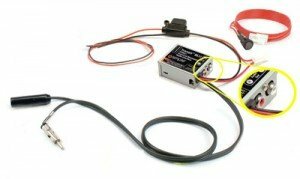 Check out the OEM grade iSimple CarConnect Toyota.